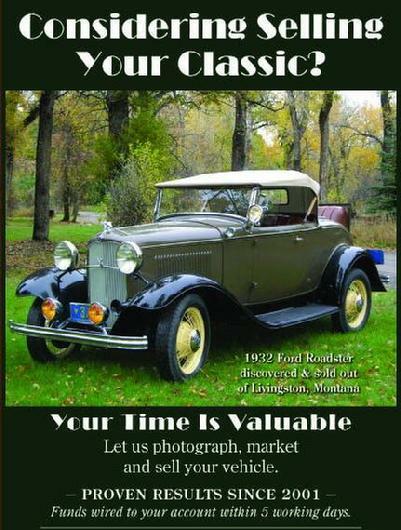 Early Corvettes, Chevy Rods, XK Jaguars, Mercedes All Models, Packards, Rolls Royce. Automobile Marketing - Selling and Locating Service. We Match Buyers with Sellers. What Do You Have To Sell? Your Time Is Valuable. Call Us First. 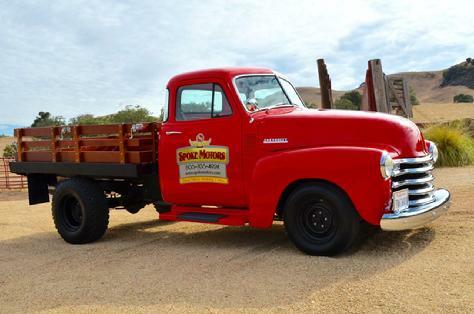 Let us market and sell your antique, classic, performance or conventional vehicles on Hemmings.com, our business web site plus Youtube with videos on our Youtube channel. Let the Power of the Internet display your item to large groups of buyers who are searching for specific vehicles such as yours! This process is Fast, Safe and Easy. When your item sells, we will facilitate shipping when necessary, which the new buyer pays....world-wide. If your Vehicle has a Clear Title....We will help you with the paperwork to successfully change over the title and registration to the new owner. We come to your location and compose detailed, professional photographs plus a youtube video of your vehicle. We then create a web page on your behalf and describe your item in detail "For Sale" on our Online Showrooms: This web site, Hemmings.com and our Youtube Channel. Your video and ads will be viewed World-Wide 24 hours a day until your car is sold. Within 5 Working Days....before your item is shipped or picked-up. Museum, Individual Collections, and Business Accounts are welcomed. Please call for a quotation. Please Support Our Troops. Bring them home to protect our borders.